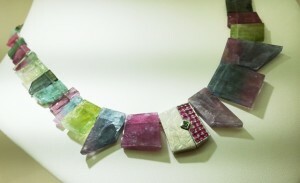 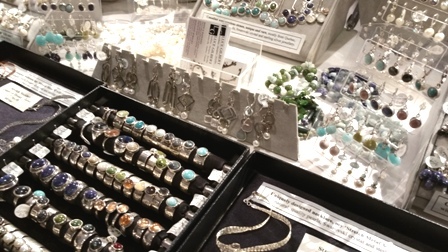 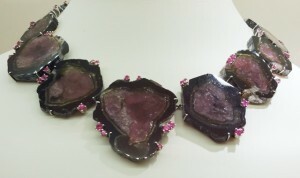 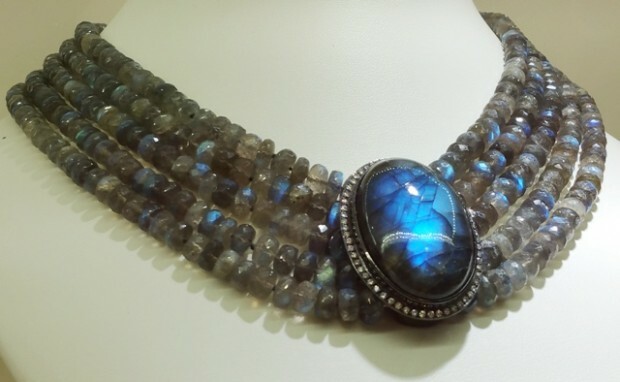 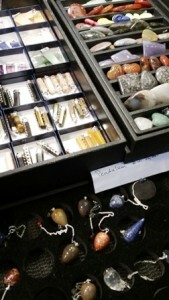 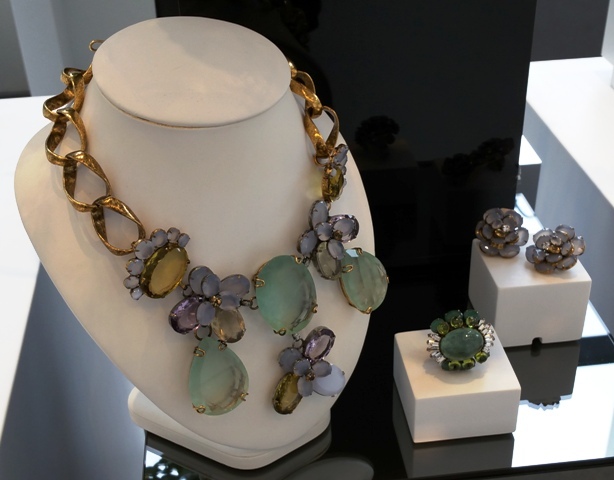 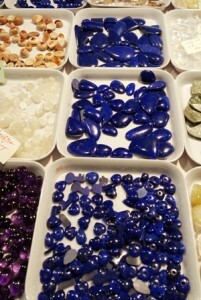 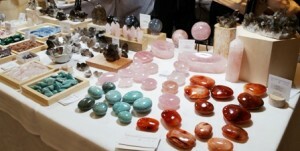 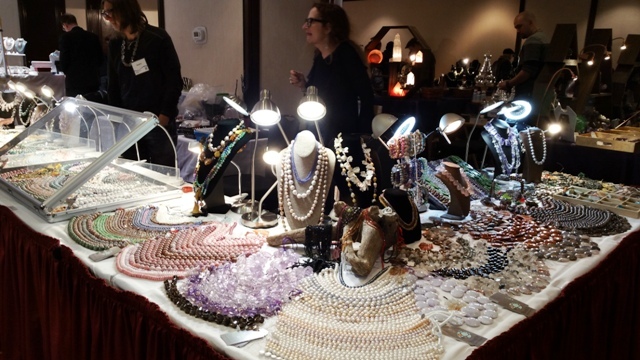 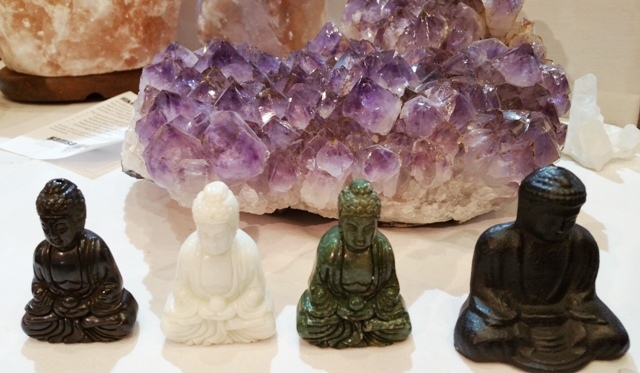 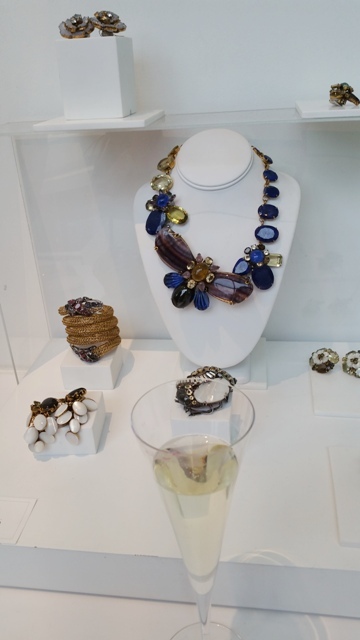 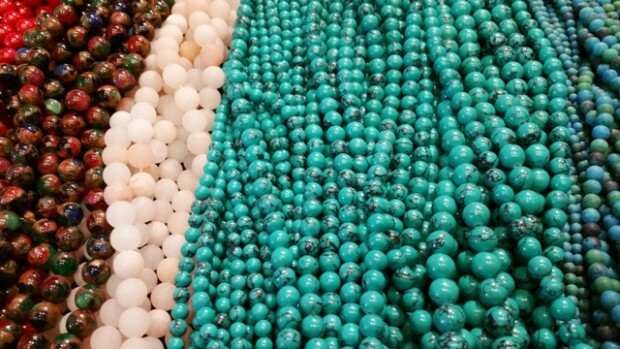 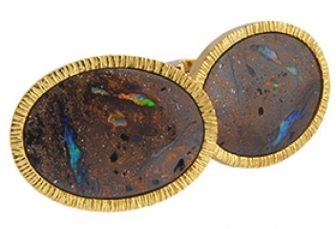 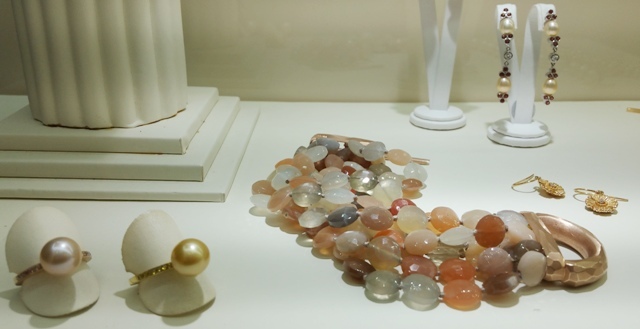 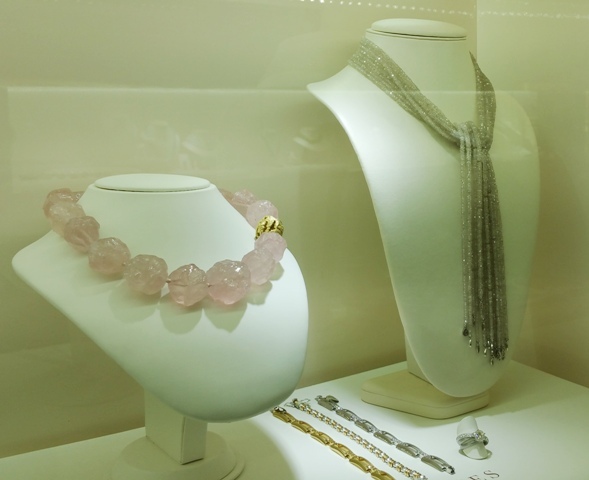 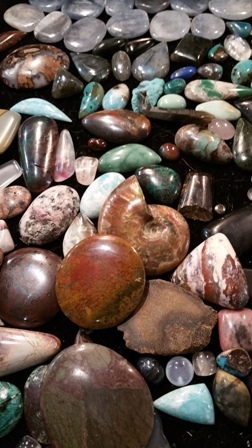 get your rocks off at the spring gem expo in toronto! 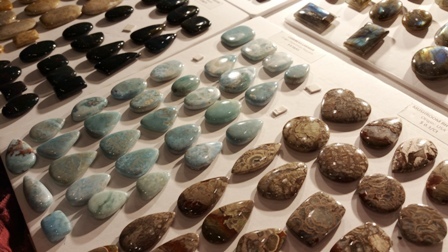 Here’s the ultimate “rock concert” – if you like gorgeous gems and baubles, then this is the show for you. 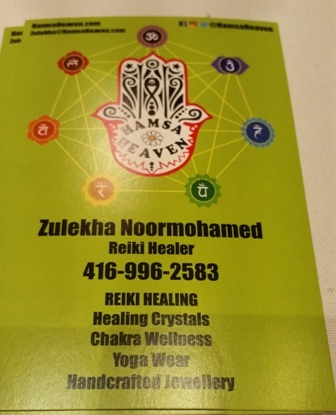 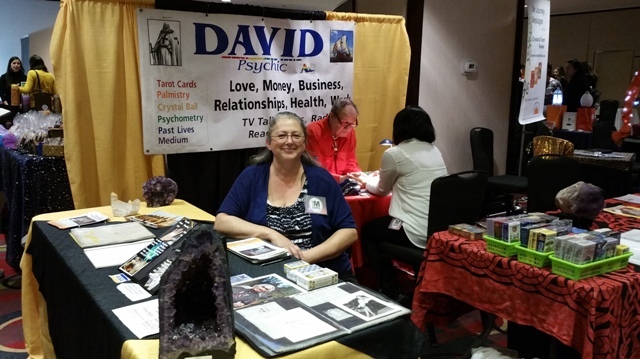 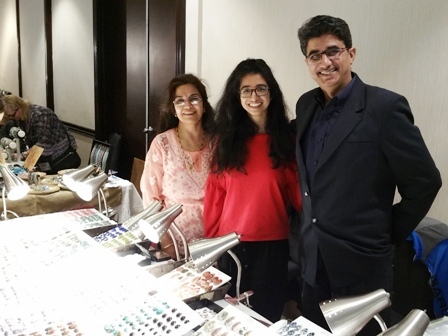 Big thank you to Salim Moorani, Founder of The Gem Expo, for inviting me to come out to the spring show which opened today at the Hyatt Regency Hotel on King W in Toronto – show runs tomorrow, Saturday Mar.17th 10am-6pm and Sunday Mar.18th 10am-5pm. www.thegemexpo.com Salim greeted me at the door along with his charming wife and daughter (below) and then let me wander the aisles, meeting up with vendors and gem ambassadors. I was pleased to run into the lovely folks from Sonatona Natural Gemstones & Minerals (below) who I met last year…they’re always ready with a smile and willing to share their extensive knowledge about their precious and semi-precious stones. 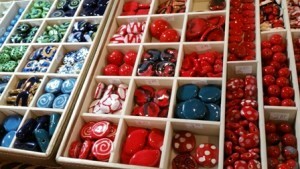 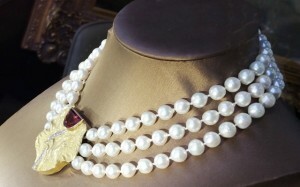 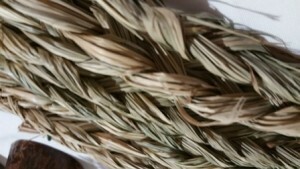 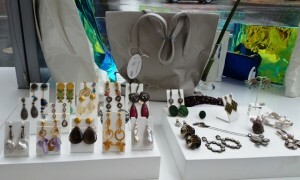 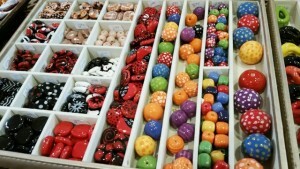 www.stores.ebay.com/sonatona Lots of ready made jewellery as well as loose gems for crafters and home bead-makers…. 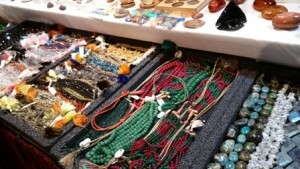 One new vendor I was delighted to meet was Deb from Karibu Beads, featuring hand-made Kazuri Beads from Kenya. 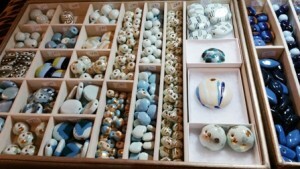 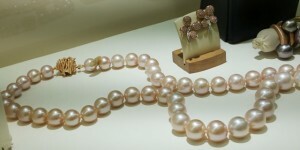 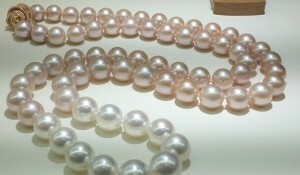 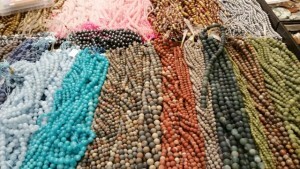 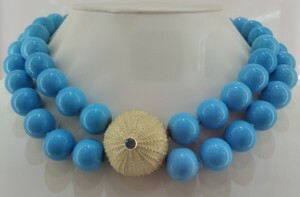 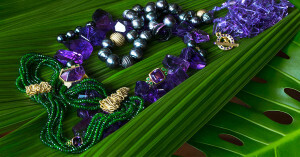 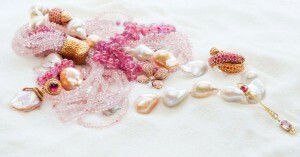 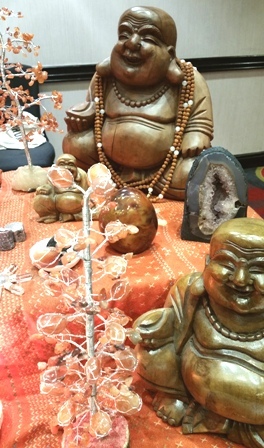 The story of these beads is fascinating so I encourage you to visit www.karibubeads.com to learn more. 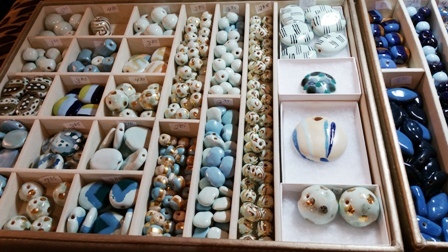 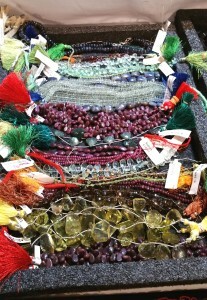 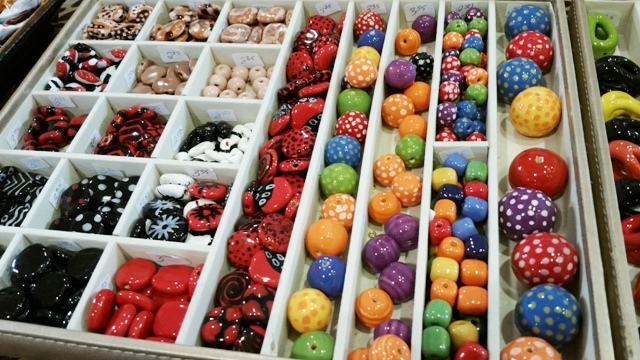 Here are just some of the gorgeous colourful beads I saw…. 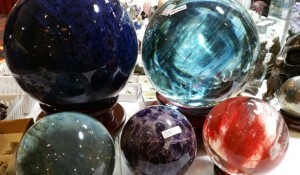 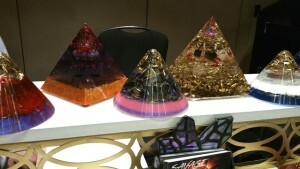 The Gem Expo also features some stunning glass work, too, including these giant “crystal balls” and some spooky stone skulls. 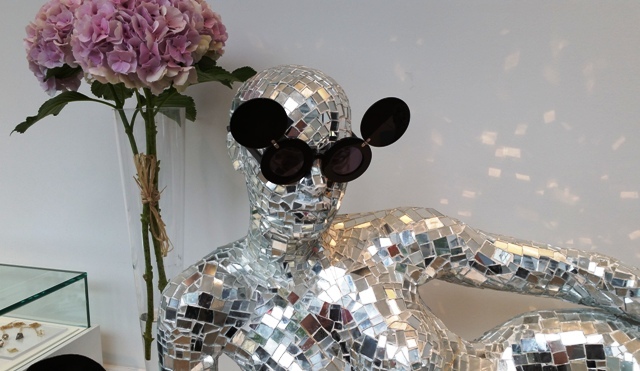 Groovy, baby! 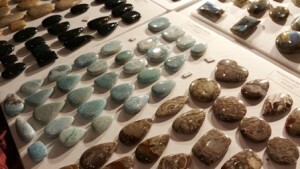 How about some fossils? 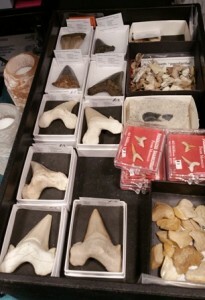 Check out these prehistoric shark teeth…yikes! 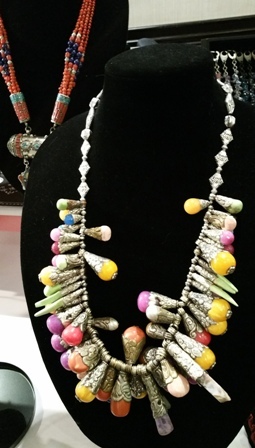 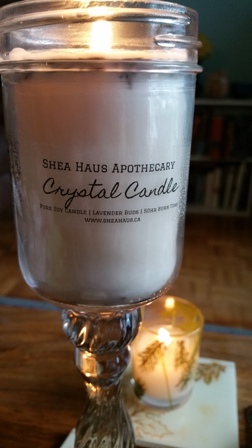 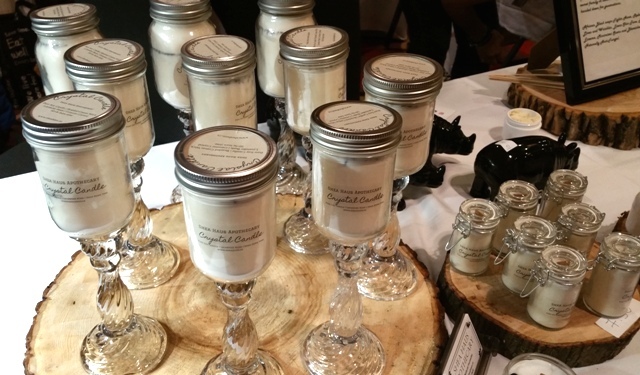 Meet another new vendor, Ryan Desantos of Laya Skye Jewelry (below). 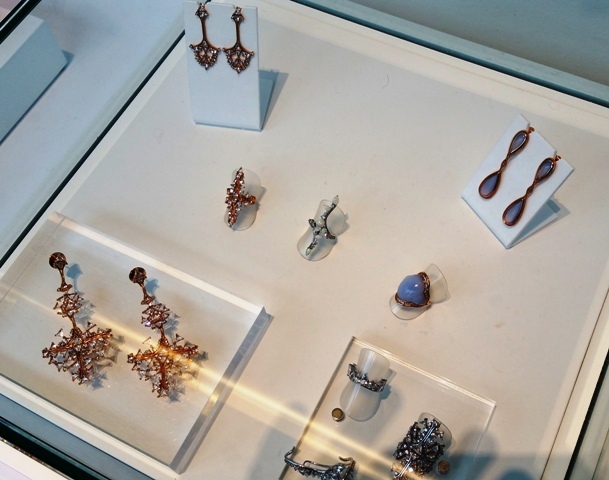 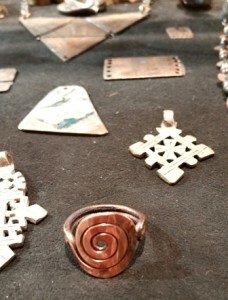 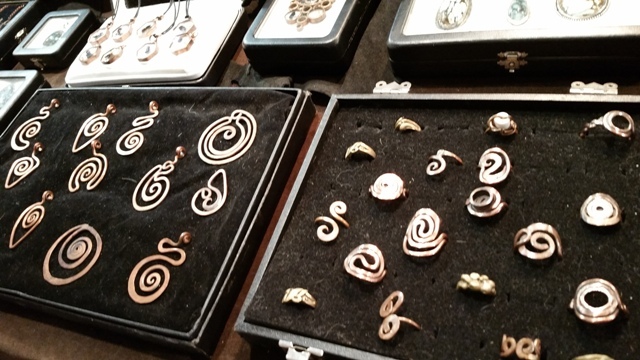 He brings in handcrafted designs from Bali and I particularly liked the amazing “floating” rings that are all sterling silver with a rotating element so you can fiddle away and calm your nerves with them. 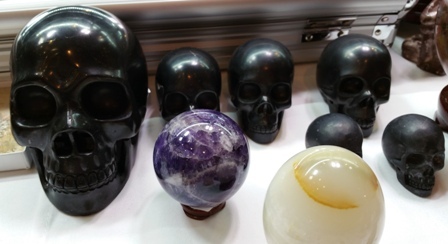 One of them almost fit…I was soooo tempted. 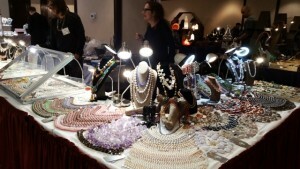 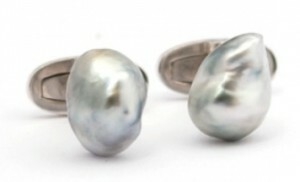 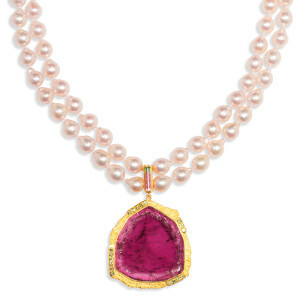 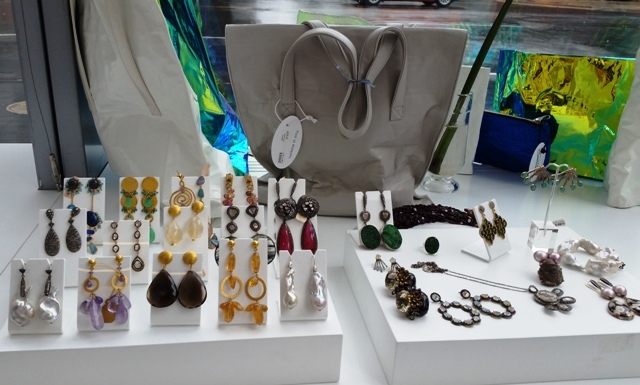 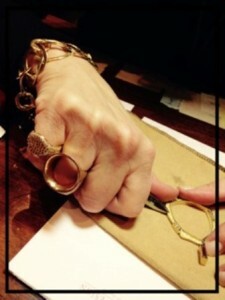 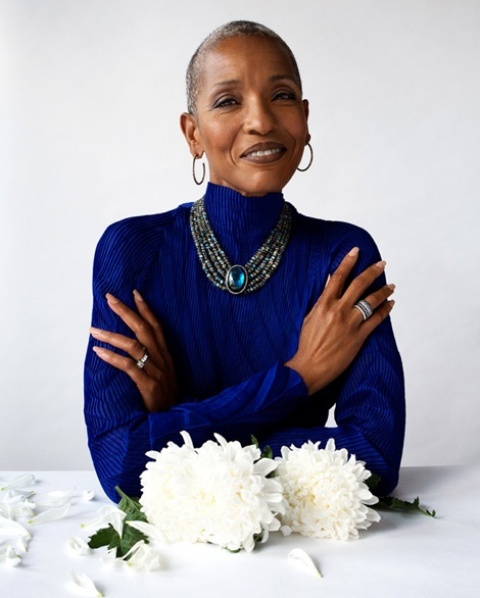 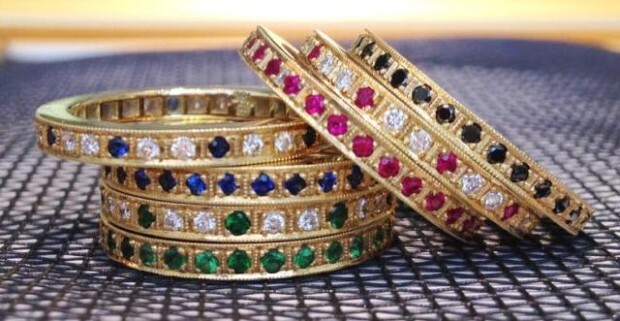 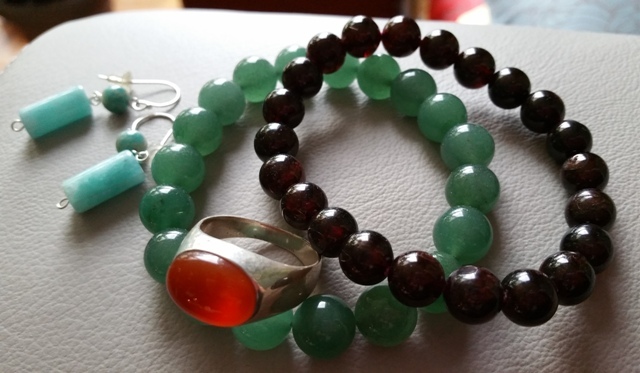 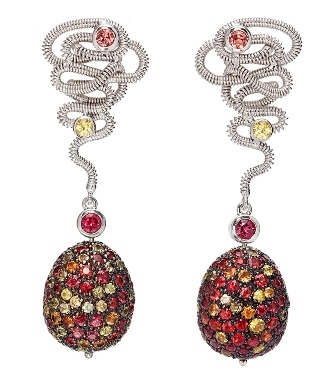 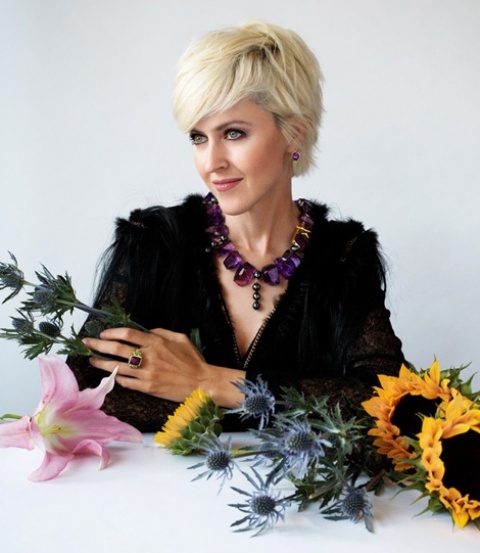 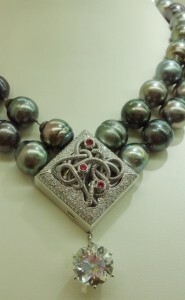 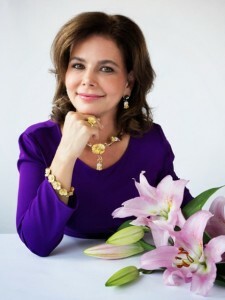 His new website is currently under construction but do check it out next month: www.LayaSkyeJewelry.com More fabulous bling…..what’s a girl to do?! 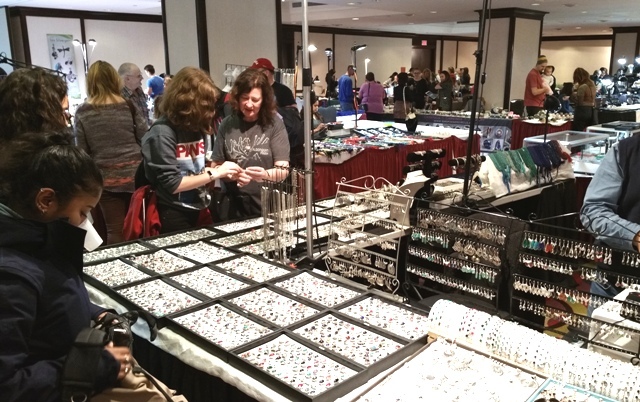 Lots to see and buy so come on down this weekend – most vendors take credit cards and Debit cards/Interac, plus there are cash machines in the hotel. 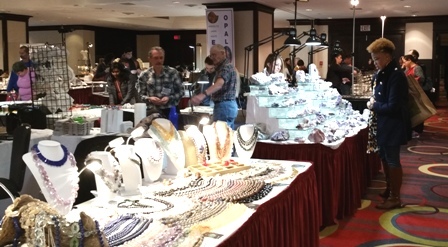 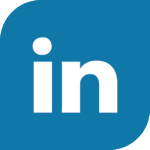 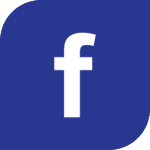 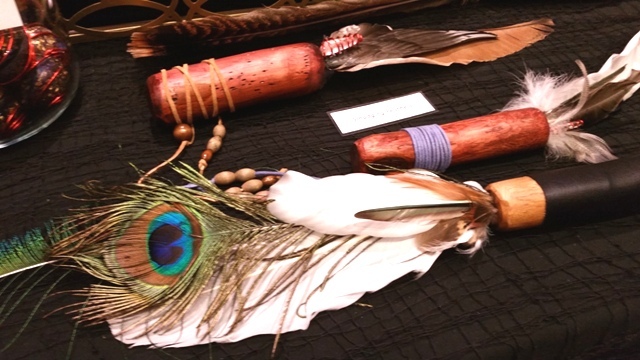 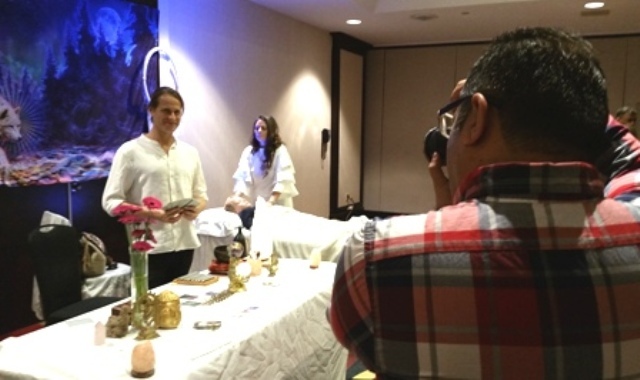 Posted in Events, Jewellery, Special Events and tagged amber, amethyst, beads, bracelets, earrings, fossils, gold, handcrafted, Hyatt Regency Hotel, jewellery, lapis lazuli, opals, pearls, pendants, rubies, silver, The Gem Expo, Toronto, tourmaline, turquoise on March 16, 2018 by fordhampr. 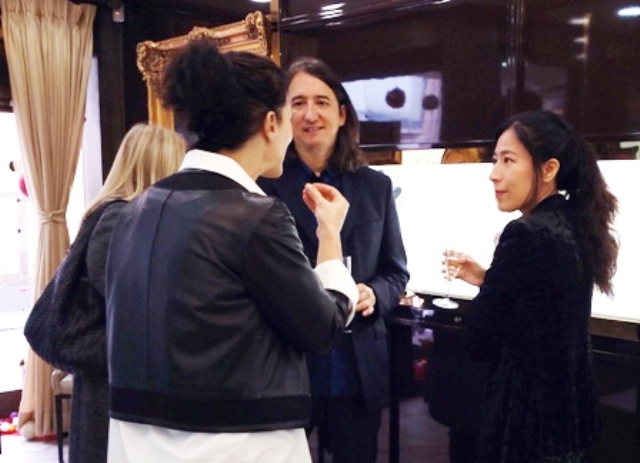 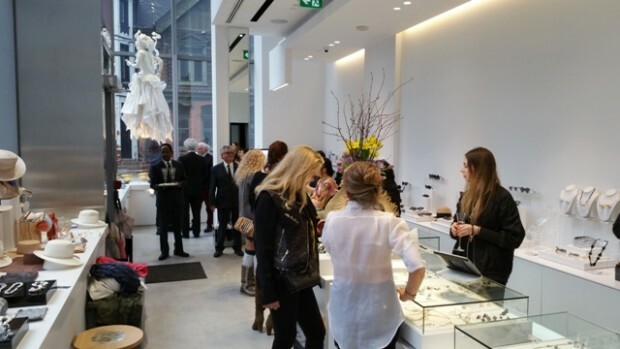 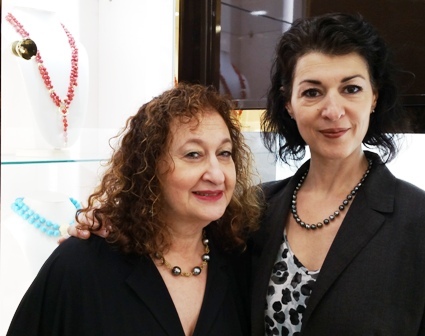 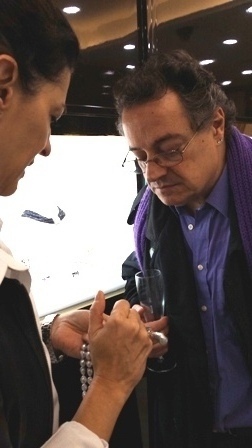 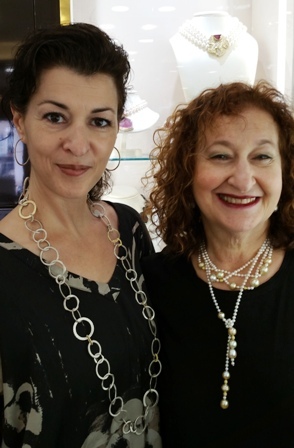 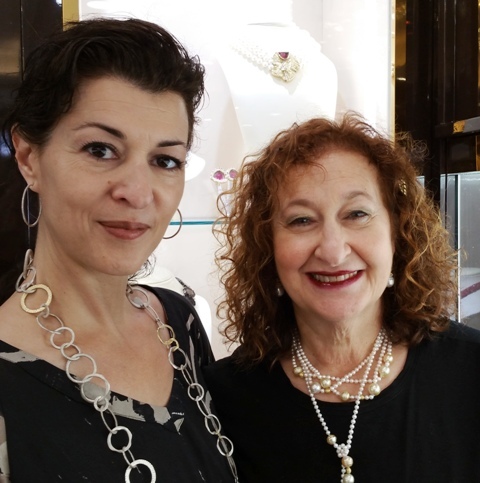 Last Sunday & Monday, Montreal-based jewellery designer, GLORIA BASS, welcomed celebrity visitors from the Canadian music industry and theatre, capping off her 2-day Christmas trunk show held in the heart of Toronto’s Yorkville village. 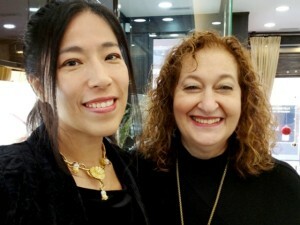 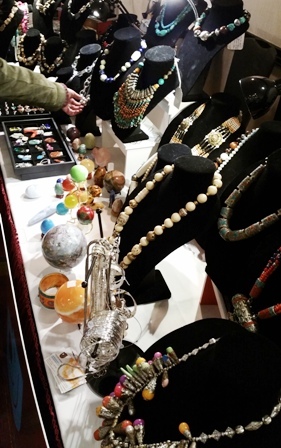 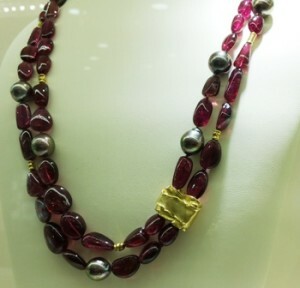 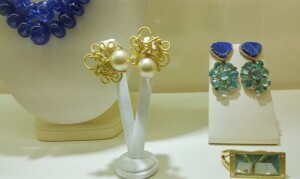 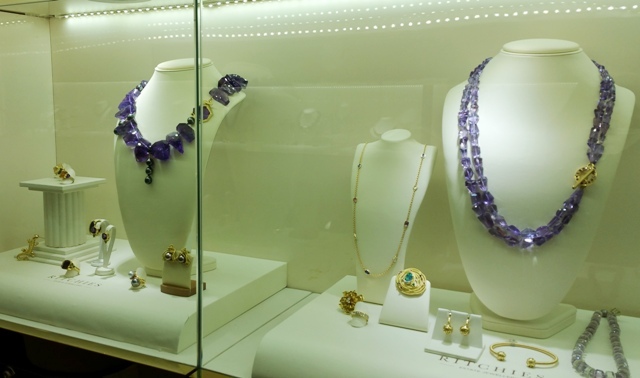 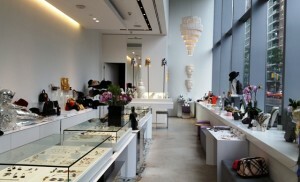 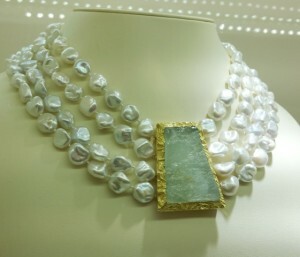 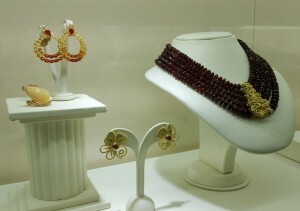 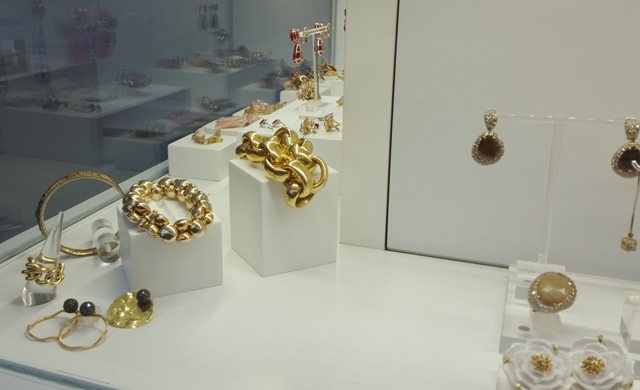 She brought her unique designs made from 18kt gold and the finest precious stones and pearls to a special “pop-up” gallery, just in time for Christmas. 2016 Grammy-nominated Canadian flutist and composer RON KORB (above right) dropped in with his wife, Jade (above centre, with Gloria’s assistant Marie-Josée at left), to check out potential red carpet gems for next Spring’s awards season (Ron may be nominated again in 2017). 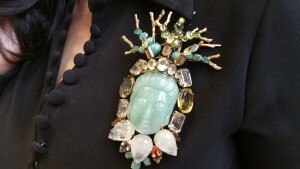 Having been photographed by the world’s entertainment media when they walked this year’s Grammy red carpet in Los Angeles, Jade & Ron know the importance of wearing just the right accessories to make an impact and Gloria’s stunning, unique designs will definitely make an impression. 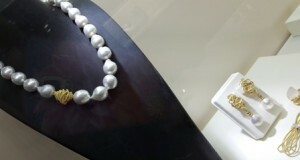 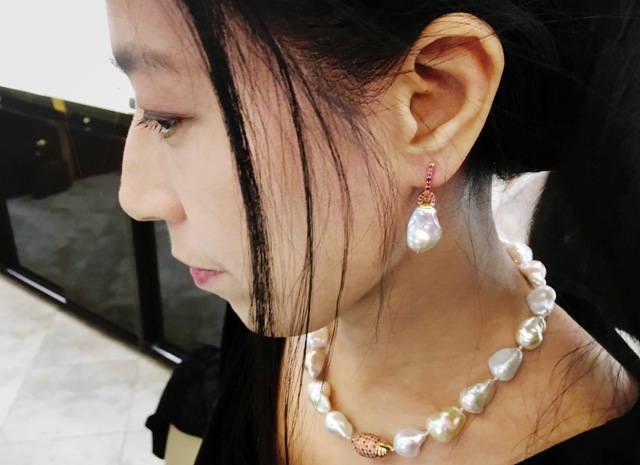 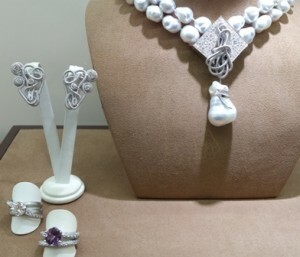 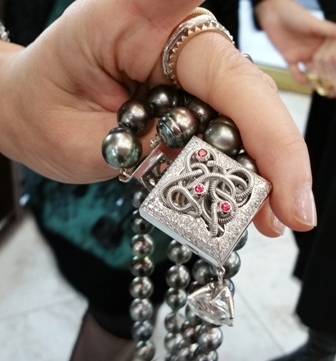 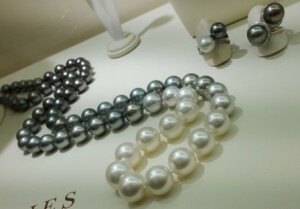 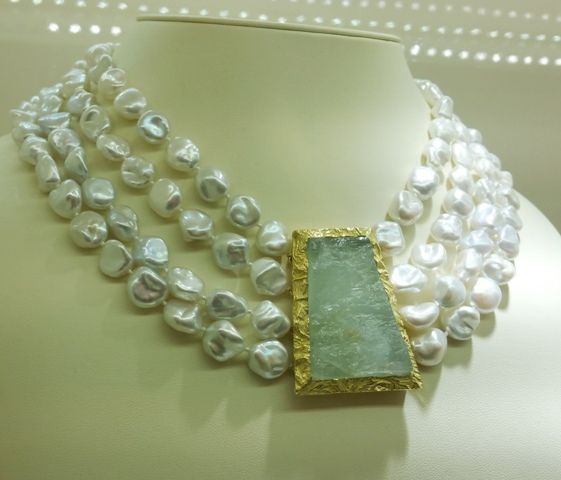 Jade tried on some lovely freshwater pearls (above) and listened as Marie-Josée explained the handcrafting process of one particular white gold necklace featuring black Tahitian pearls, diamonds and rubies…wow! Jade also loved the 18kt gold & diamond necklace (pictured with Gloria, below), part of a special line designed for Canada’s Remembrance Day programme in the form of poppies. 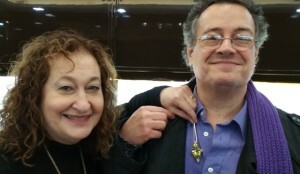 A little later that same day artist, playwright and actor PHILIP CAIRNS (below) dropped in – Philip has recently been nominated for a Broadway World Theatre Award and was looking for something with which to make a splash at the upcoming ceremony. Marie-Josée showed Philip a number of pieces but he soon spotted a stunning Prasiolite & ruby pendant in 18kt gold that he thought would make a fabulous accessory to his awards tux…and it seems that Gloria thinks so, too! 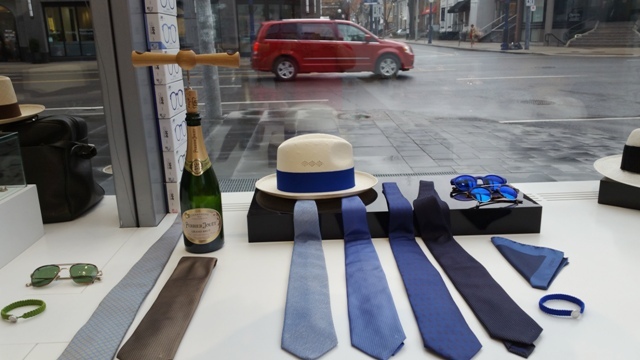 Several established clients of Gloria’s dropped into the pop-up store located on Yorkville’s Bellair St, and considering the number of sales, me thinkst Santa is gonna need a bigger sleigh this year! 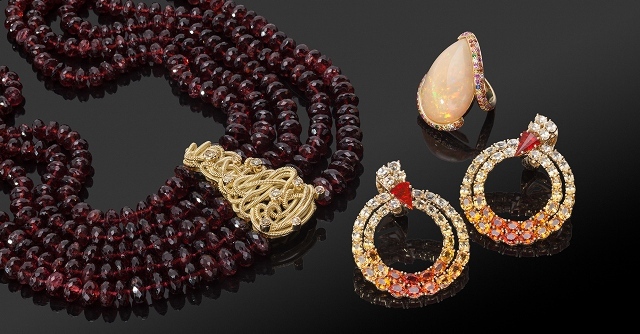 In the meantime, here are a few more sparkly gems to whet your appetite including my fave earrings (centre pic) featuring Tourmalines and Diamonds in 18kt gold, and the perfectly matched string of delicate pink “ombre” pearls (bottom). 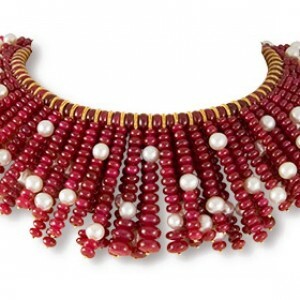 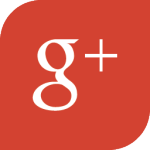 Posted in Beauty & Fashion, Jewellery, Special Events and tagged Canadian designs, diamonds, fine jewellery, Gloria Bass design, gold, jewellery, jewelry, pearls, rubies, Tahitian pearls, tourmalines on December 3, 2016 by fordhampr. 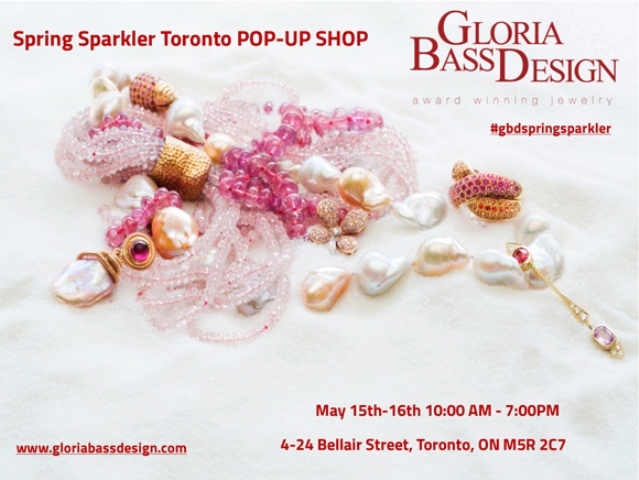 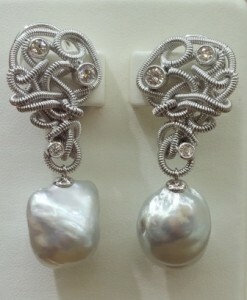 Posted in Art, Design and decor, Jewellery and tagged amethysts, baroque pearls, bridal jewellery, brooches, diamonds, earrings, emeralds, fashion, fine jewellery, garnets, gems, glamour, Gloria Bass Designs, gold, necklaces, opals, pearls, rose gold, rubies, sapphires, Tahitian pearls, Toronto, Yorkville on May 15, 2016 by fordhampr. Here are some of Ana’s beautiful pieces currently in the store featuring 18ct gold with rubies, emeralds, diamonds, sapphires and other gemstones & pearls. 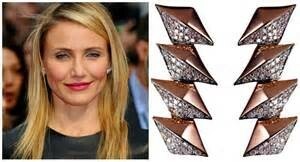 Lots of celebs wear Ana’s designs, esp. 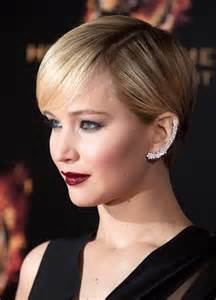 her ear cuffs – Jennifer Lawrence, Lupita Nyong’o and Cameron Diaz have all sported Ana’s baubles on Hollywood red carpets…. 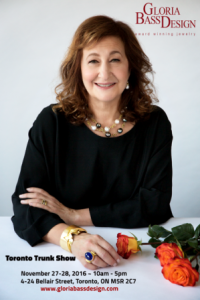 Archives represents a number of other int’l designers such as Iradj Moini who designed the fabulous Aventurine brooch worn by one of the lovely sales associates (below). 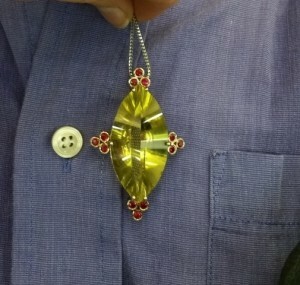 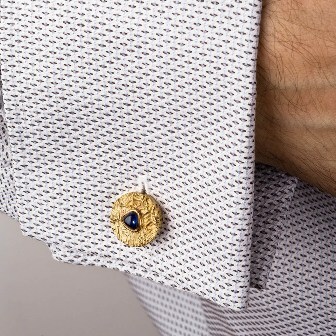 …and their fashion accessories are exquisite, too. 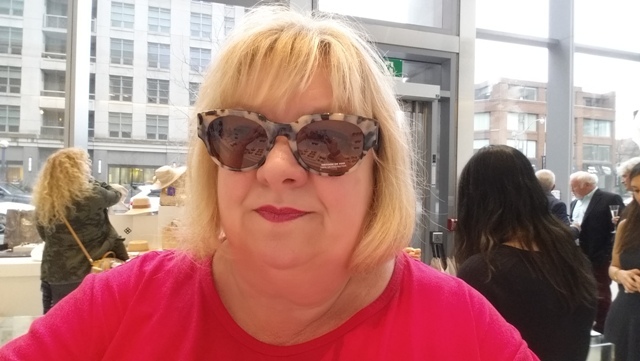 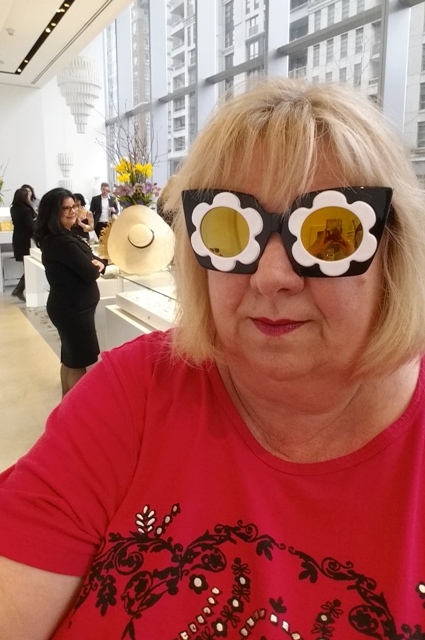 I fell in love with a couple of pairs of sunglasses, both quite outrageous…which pair should I get? 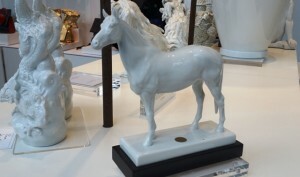 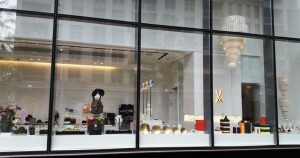 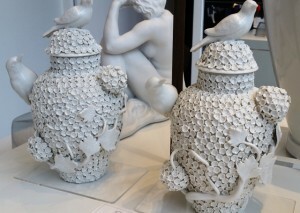 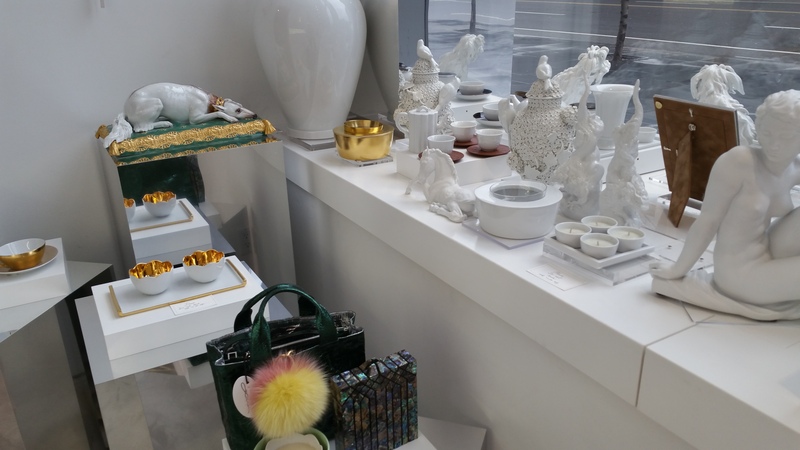 Archives’ designer home accessories would fit perfectly in any chic uptown loft or condo…check these out. Wow! 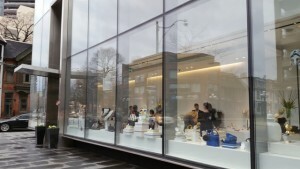 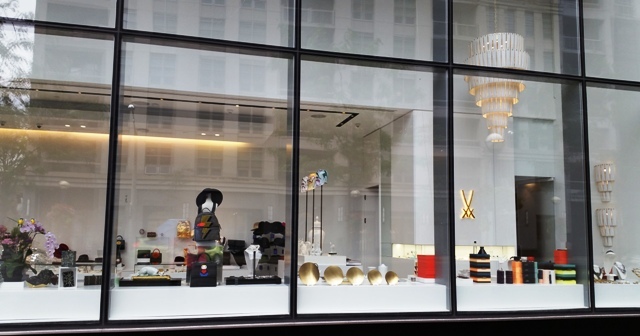 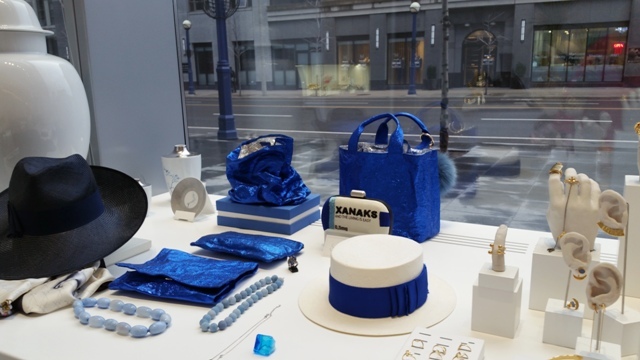 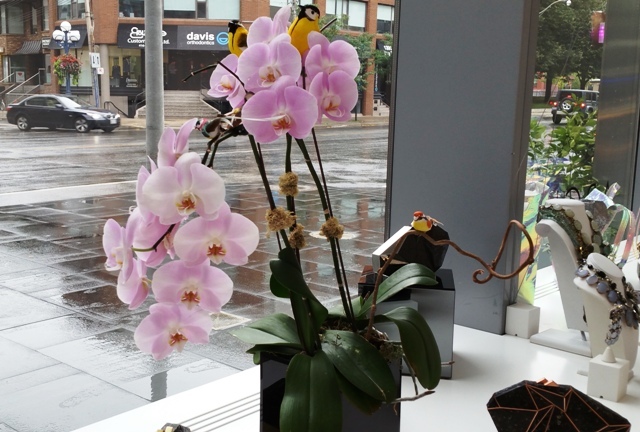 So definitely drop in and say hi next time you’re in the Yorkville neighbourhood…the staff will be delighted to show you around and chat about the designers represented in their store. 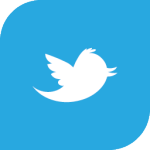 Posted in Beauty & Fashion, Design and decor, Events and tagged Ana Khouri, Archives Toronto, aventurine, Brazilian fashions, diamonds, emeralds, fashion designers, jewellery, jewellery designers, rubies, sunglasses, Toronto shopping, Yorkville on March 31, 2016 by fordhampr. What a grey, rainy day dawned here on the 4th day of the Toronto Int’l Film Festival (TIFF). I have no “official” screenings or soirees to attend so what to do…what to do? 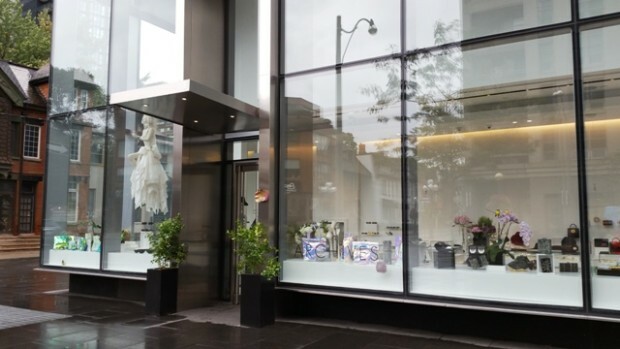 Earlier last week, I had received a lovely invitation from ARCHIVES [ http://www.archivesltd.com/ ] an exclusive concept store located in the new Four Seasons Hotel a few blocks away, so earlier this afternoon, I grabbed my umbrella, put on some bright lipstick and headed out to see their gorgeous new luxury bling… join me now for a virtual visit. 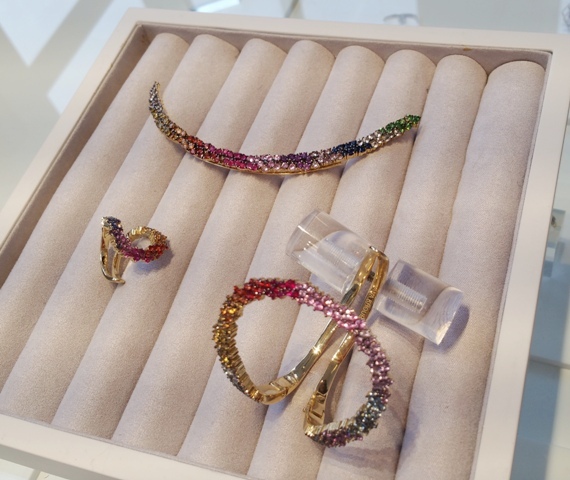 Fernando Jorge: the Brazilian-born jewellery designer takes inspiration from the laid back attitude and effortless sensuality of his home country. Fernando’s pieces are imbued with energy and movement – his aesthetic is inherently Brazilian. 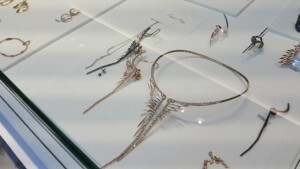 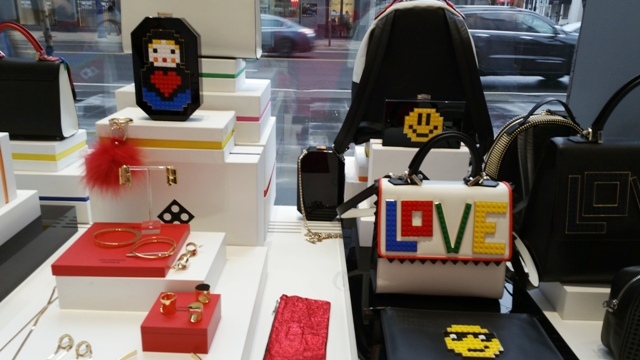 Having gained an international media following, the designer is widely considered to be amongst the brightest emerging talents in the jewellery and fashion worlds alike. 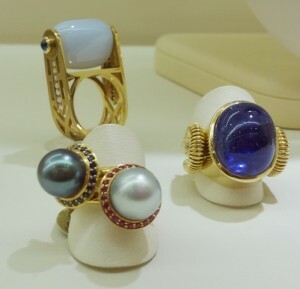 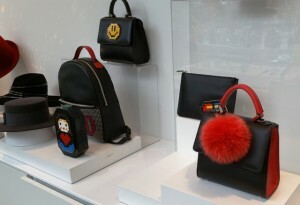 His collections can be found in the most prestigious stores in London, Paris, Beirut, New York, Los Angeles and Dallas, as well as online. 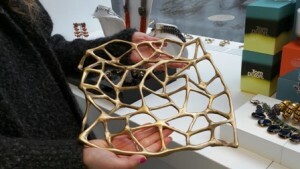 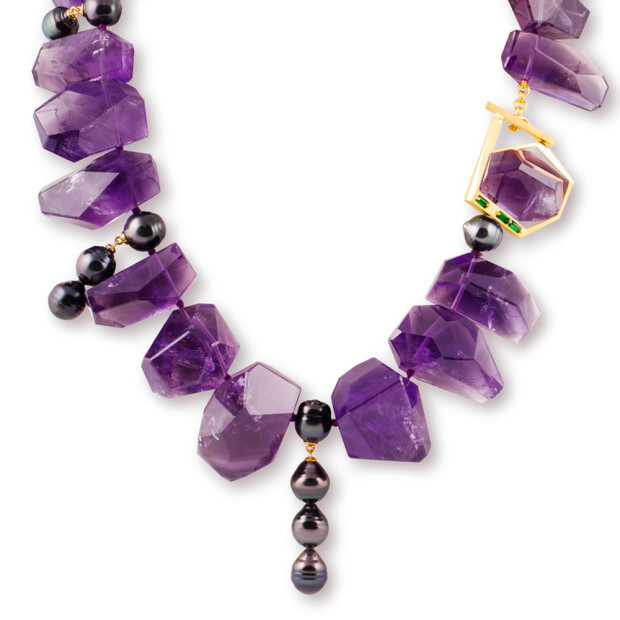 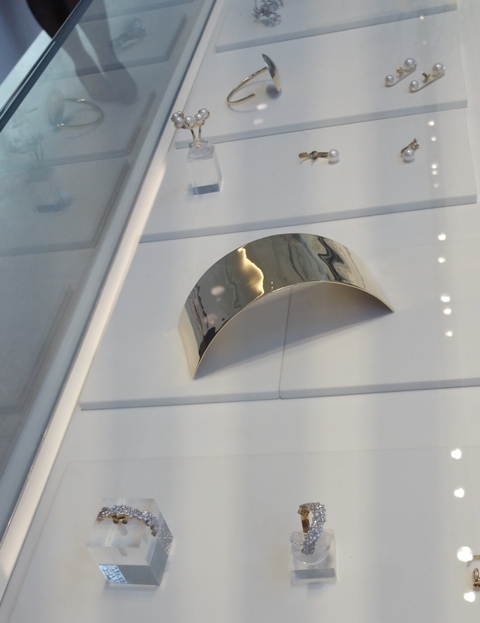 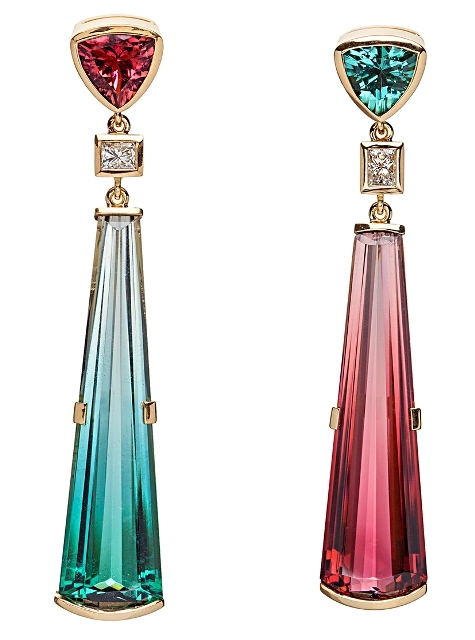 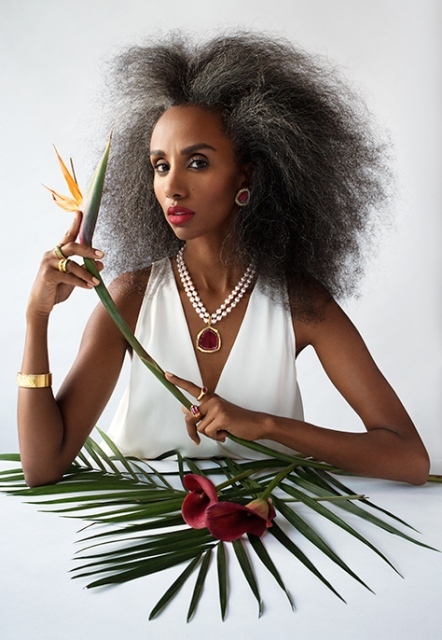 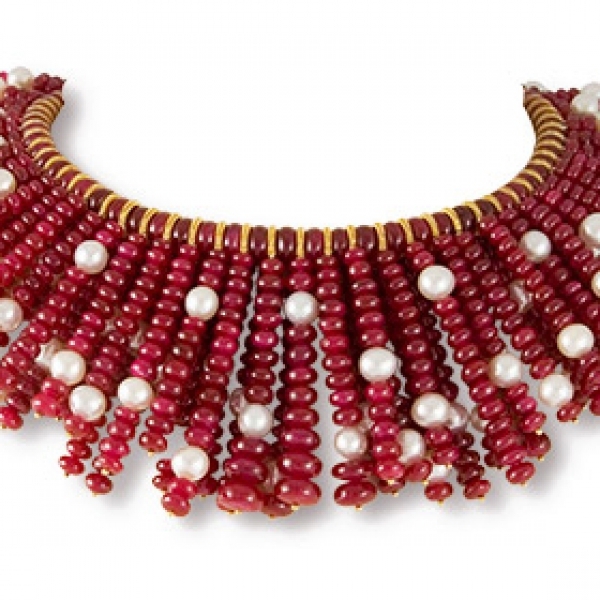 Noor Fares: the young London-based designer is known for her exotic, mythical, hand-crafted jewellery. 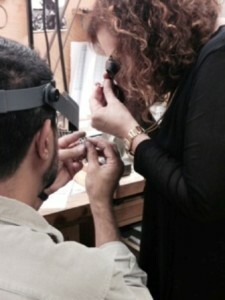 Noor’s admiration for beautiful objects started as a young child, obsessed with her mom’s jewelry box. 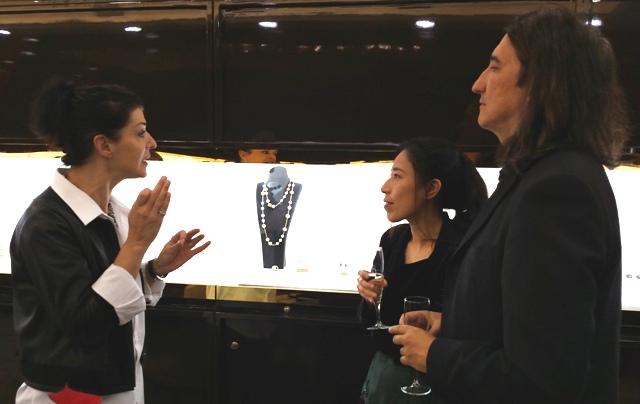 After studying art history and jewellery design, she combined her passion for art with her love of adventure by launching her first line in 2009. 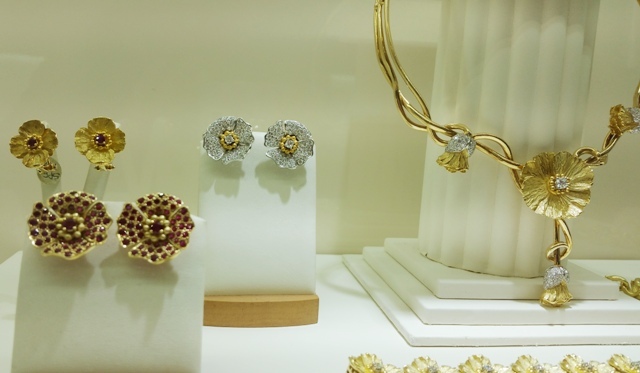 Noor fuses modern fashion with old world tradition, using a diverse range of materials like diamonds, sapphires, white gold, and rhodium. 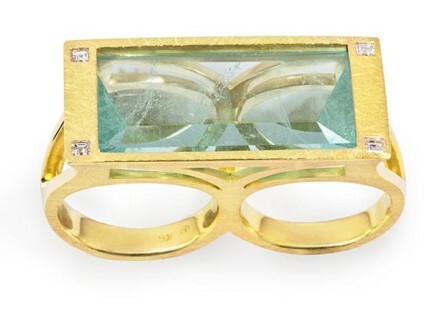 Her creative aesthetic is rooted in her Lebanese heritage – most of her pieces are engraved with an eye, the Lebanese tradition that protects the wearer from all things evil. Archives also carries a number of great purses from Les Petits Joueus, including this awesome black and red piece that would go perfectly with an outfit I’m wearing to one TIFF party this week…. 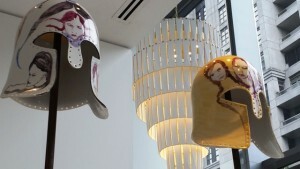 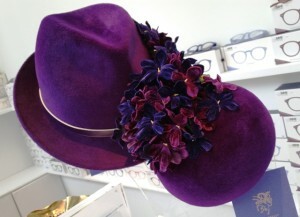 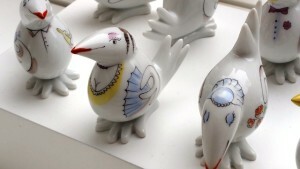 Don’t you just LOVE these purple hats from London milliner Philip Treacy – exclusive in Canada to Archives: I’ve always been partial to fine china and ceramics and Archives has a range of Meissen Couture home decor pieces…I love the birdies (below) that have no function other than to amuse. I also found the Meissen historic “helmets” (below) rather intriguing…looks like another Roman invasion! 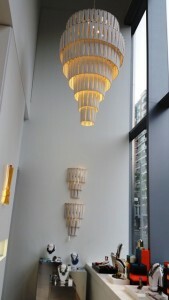 I didn’t realize until I was told by the store staff that even the chandelier and wall sconces were Meissen….wow! 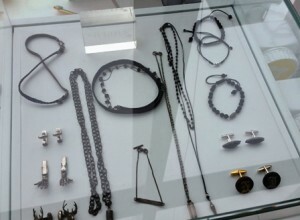 They carry some cool men’s accessories, too, although I couldn’t grab a good photo without reflections…but definitely worth a look-see. When the store first opened, I remember seeing this fabulous mannequin that the store staff blinged out with mirror shards…look at her now, all chi-chi poo-poo ! 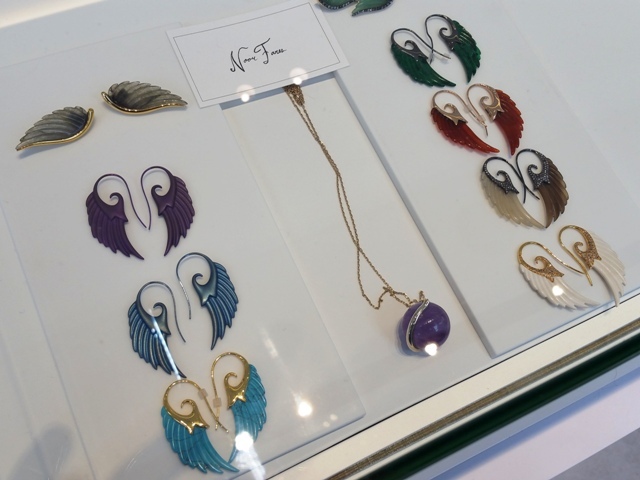 In-house designer Jaleh Farhad Pour creates stunning earrings and I have my eye on a number of pairs – guess which ones (below)….pair on bottom row, 3rd from left has my name all over ’em! 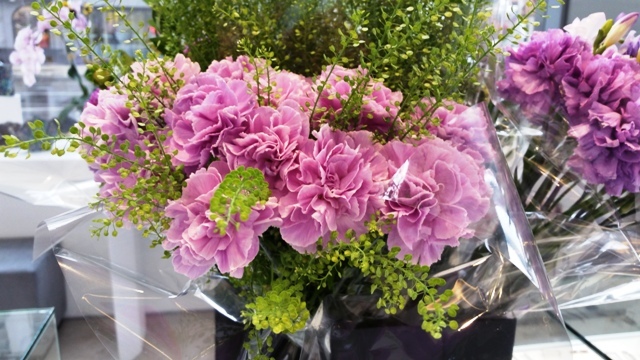 The store also brings in some natural bling…love these carnations and orchids, all colour-coordinated. 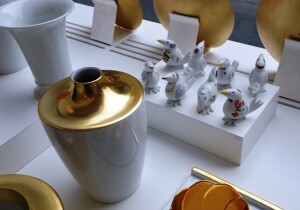 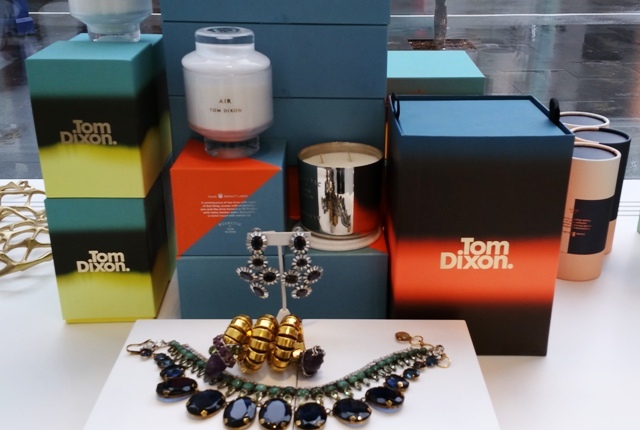 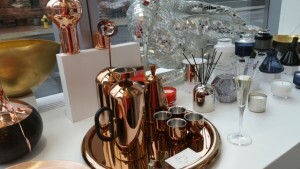 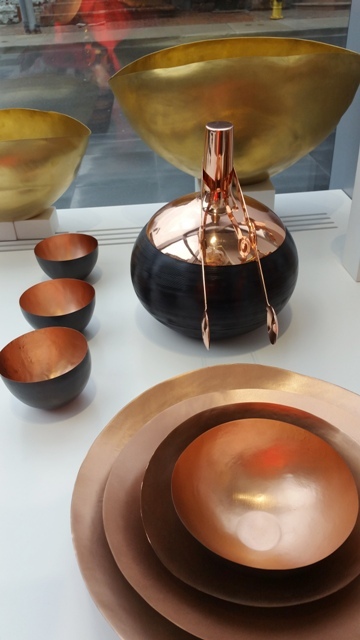 Home decor designer Tom Dixon offers sumptuous home fragrances and accessories like these (below)…. 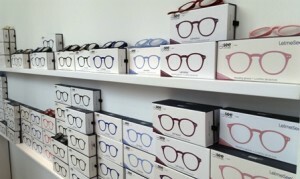 …and if you’re looking for some great reading specs Archives carries the See Concept glasses in various colours, frames and vision levels, starting at $49…so you can get a two or three pairs! 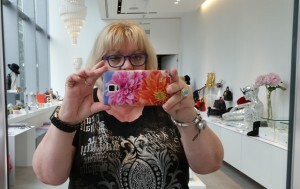 Do you like the blue pair I’m wearing? 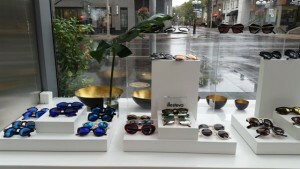 They also have cool sunglasses from Illestiva (below) so pick out your fave movie star look and away you go to the red carpet. 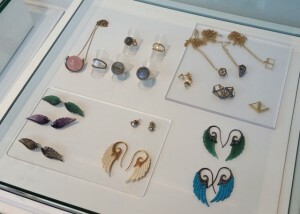 So much to see, so much to drool over! 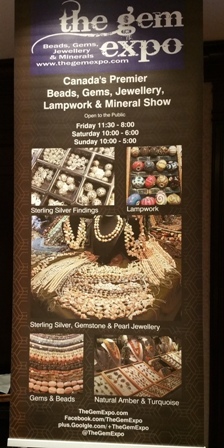 And you can enjoy all these in person if you drop in to Archives on Bay Street yourself (the NW corner of the Four Seasons Hotel in Yorkville) between now and Sept. 20th…check out the invitation below. 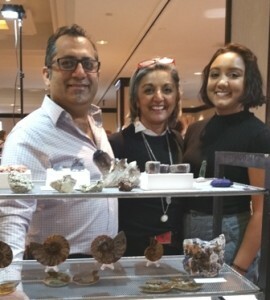 Thanks to the Archives staff for showing me around…..see you all soon.